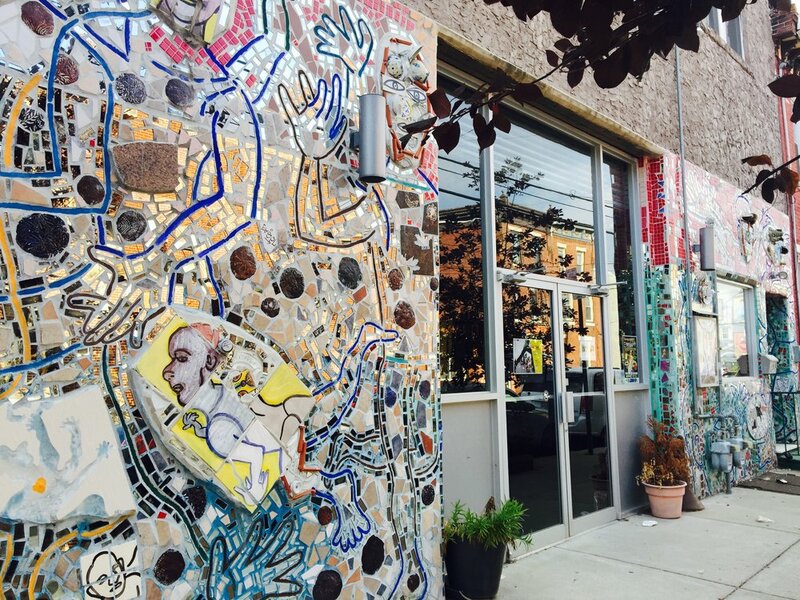 CHI Movement Arts Center (CHI MAC), is the home of Kun-Yang Lin/Dancers and offers a friendly, attractive, economical and professional space in South Philadelphia. Fully-sprung dance floor with grey or black marley, CHI MAC is fully air-conditioned and has approximately 1,500 square feet of dance-able space. Space Availability: Please note- When there is a listing, which says “Rental” or it is a class listing, that means the space is NOT available during those times. You can click on each individual listing to see what time it ends. 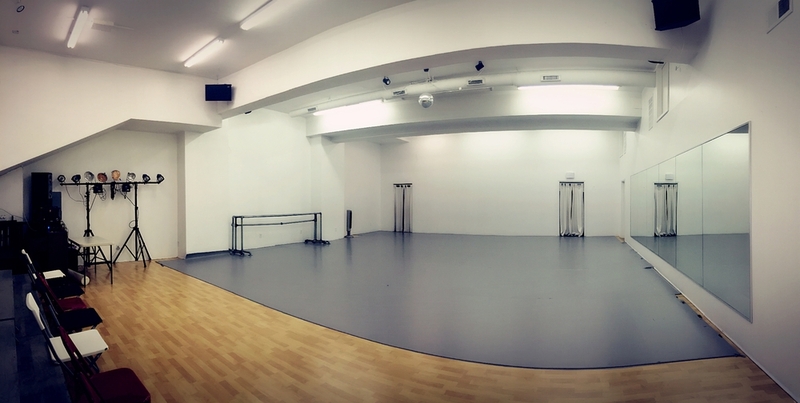 Permitted Usage - Rehearsals, Performances, Classes, Auditions, Showings/Showcases, Photo/film/video shoots, Recordings, Literary readings, Meetings. No shoes, except sneakers, allowed. The studio has a marley floor. If you are interested in an extended rental (at least two full days), the marley can be removed to allow for the wood floor to be used. As a 501(c)(3) non-profit organization we are unable to have politically affiliated groups renting our space for partisan activities. Please note: we prioritize long-term rentals over short-term or one time rentals. The rentals manager will provide a response within 24-48 hours. ANNOUNCING: NEW ARTIST IN RESIDENCE PROGRAM! KYL/D's Artist in Residence program provides dance and theater artists/organizations with highly subsidized rental rates and other perks to help cultivate their craft. Visit our ARTIST IN RESIDENCE PAGE for info on our current resident artists. Listing on our website: bio, upcoming events, link to personal website, etc. Seating Arrangement - Flexible seating, there are risers that can be used to provide stadium seating. Riser Dimensions- Two medium risers that are 8' long, 4'1" wide, and 1'4" tall, two small risers that are 6'8" long, 3'1" wide, and 9" tall, and two small risers that are 6'8" long, 3'1" wide, and 6" tall. Audience Services - Lobby. If a performance is being held, access to audience restroom will be made available. Our rates vary depending on a variety of factors, including the use of the space, date and time requested and whether you are an artist or non-profit organization. Generally rates range from $15 to $35 per hour, and we have flexible and economical rates for full-day uses, extended rentals, and performances. Renter must provide all performance personnel, including box office/check-in person, technical director, etc. For all rentals, except for Artist in Residence program, a staff member will open and close the space. Light snacks are permitted in the lobby area, but food can not be served or eaten in the studio. NO ALCOHOL PERMITTED. Shoes must be taken off before entering the studio, with exceptions for certain classes. Cancellation Policy - Depends on the nature and duration of the space reservation and use. Booking Requirements - Depends on the nature and duration of the space reservation. Security Deposit may be required before rental use for performances. Insurance Requirements - Special Event Insurance required for performances, adult or child waivers must be completed for classes/workshops and rehearsals. Public Transit from Center City: Take the Broad Street Line South to the Ellsworth/Federal stop. Walk five blocks east to 9th St. and 3-4 blocks south to the CHI Movement Arts Center. Driving from Center City: Take Broad St. south to Dickinson. Make a left on Dickinson. Take Dickinson to 9th St. Make a left on 9th St. and CHI Movement Arts Center is on the left side of the street, immediately north of Reed.